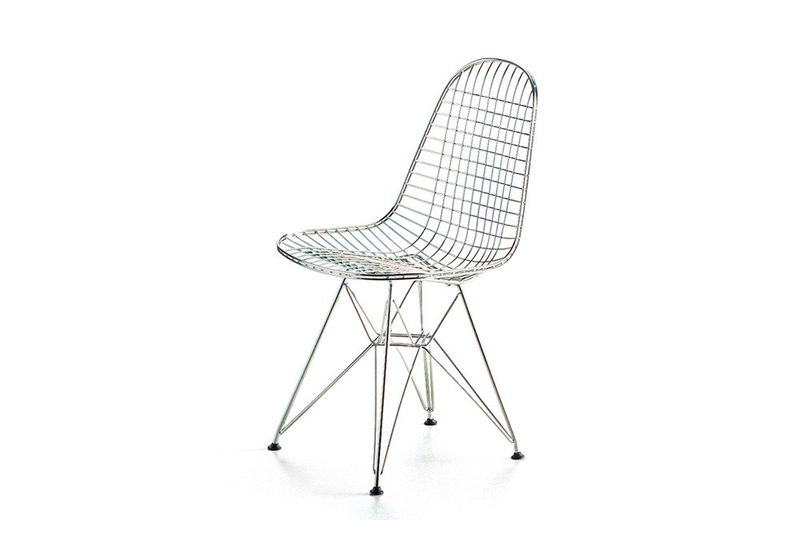 Vitra DRK "Wire Chair", Eames: Charles and Ray Eames developed this model in connection with the »Low Cost Furniture« competition held by the Museum of Modern Art in New York and for the Herman Miller company, who produced various versions of the chair between 1951 and 1967. As with their plastic chairs, the seats and backs are again modeled on the human body. 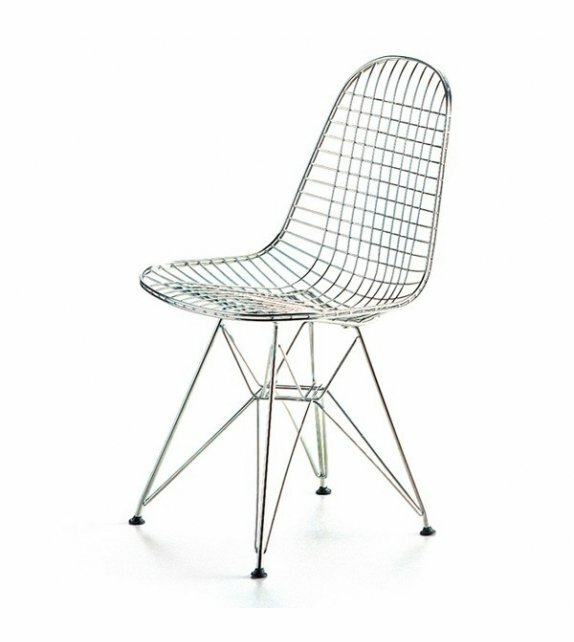 Vitra DRK "Wire Chair", Eames: Charles and Ray Eames developed this model in connection with the »Low Cost Furniture« competition held by the Museum of Modern Art in New York and for the Herman Miller company, who produced various versions of the chair between 1951 and 1967. As with their plastic chairs, the seats and backs are again modeled on the human body. In the case of DKR, however, the result is a comfortable organic form even though such a hard and cold material as steel wire is used. 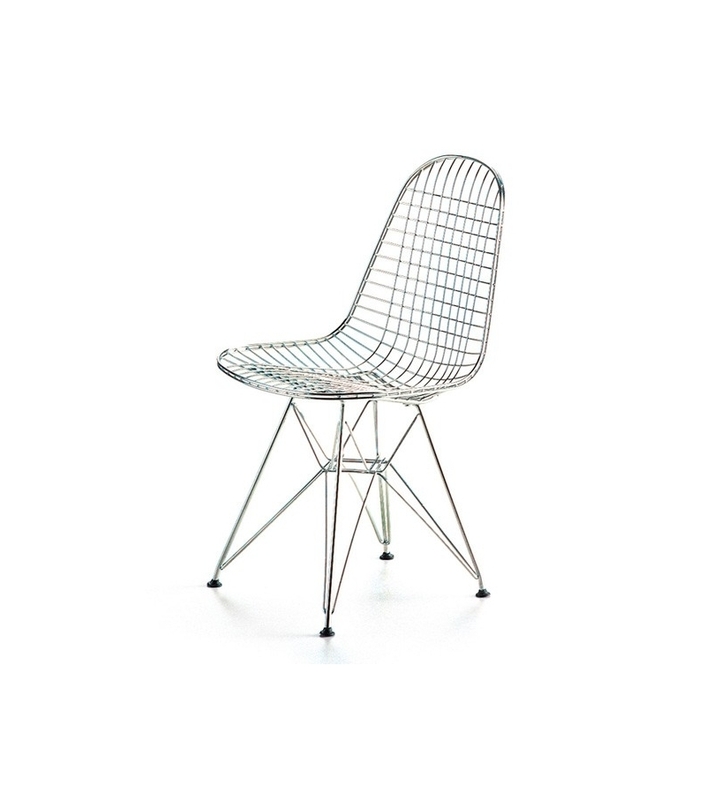 Manufactured on an industrial scale, it proved possible to sell the chair successfully at a relatively low price. In 1952, the design won the Trail Blazer Award given by the Home Fashions League in the United States. Steel wire chromium-plated. Made in Poland.